Carlisle Brass Handles, Knobs, Window Fittings, Door Furniture etc. 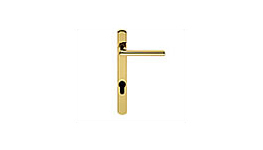 Door Handles, Lever Handles, Cabinet Furniture, Door Knobs, Window Fittings, Locks, Latches, Hinges etc. We offer a selection of hinges, locks, latches and euro cylinders manaufactured by EuroSpec, a company who are part of the Carlisle Design Group.